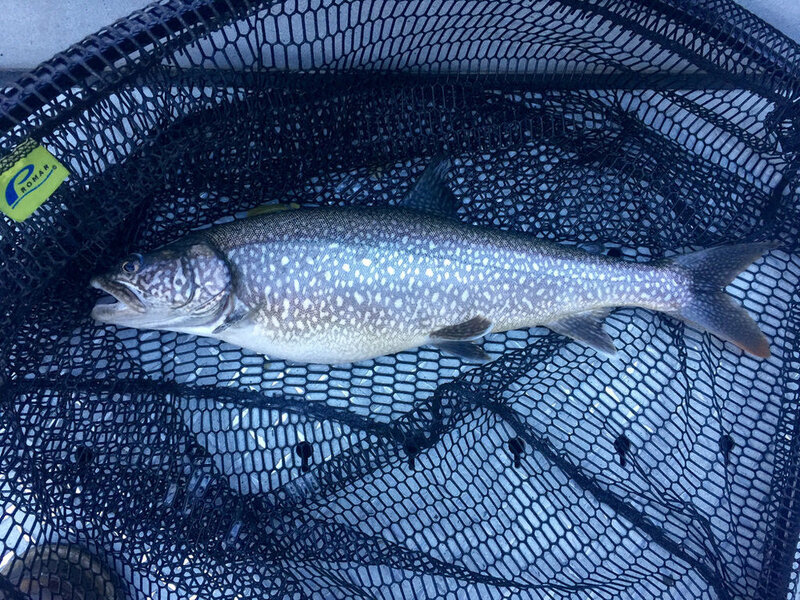 Fishing on Lake Tahoe is superb, with healthy populations of mackinaw, rainbow and brown trout and Kokanee salmon providing year-round action for anglers. US Coast Guard-licensed Captain JD Richey has been a full-time guide since 1998 and is a light tackle specialist. Using top-notch gear that’s perfectly matched to the style of fishing, means you get maximum enjoyment out of your day. We never take more than 6 anglers out at a time so you’ll always get plenty of individualized instruction. If you do have larger family or corporate groups, we can arrange multi-boat parties. Just let us know! You’ll fish from stable, comfortable boats with heated cabins. The vessels are also equipped with restroom facilities. If you decide to keep your catch, it will be professionally filleted at the end of the trip so you can have fresh fish for dinner -or- we can make arrangements for you to have it cooked at a local restaurant. 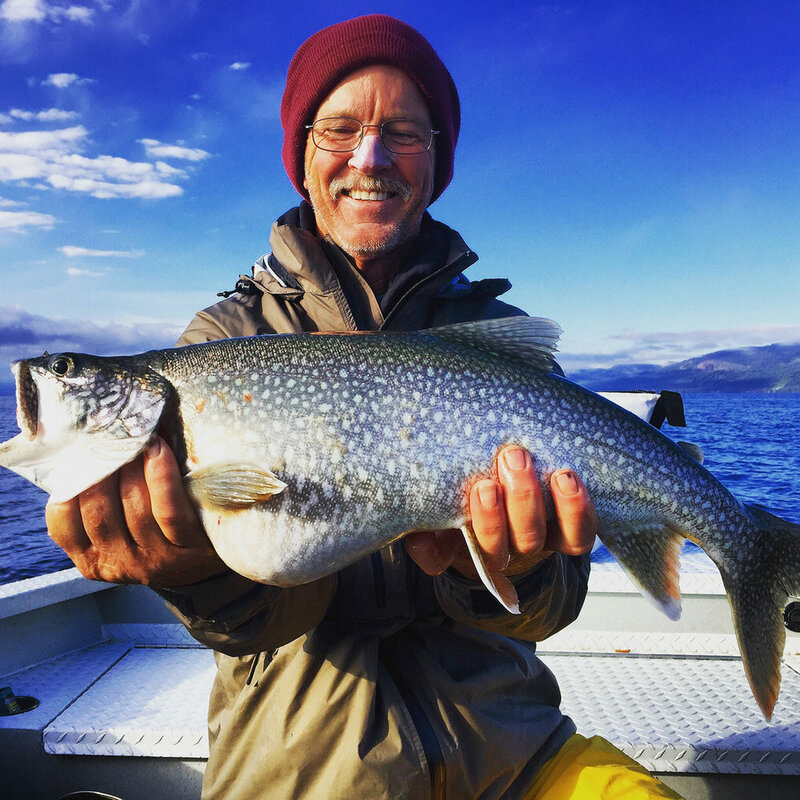 On our guided Lake Tahoe Fishing Trips, you’ll have a great time — and get to see the the crown jewel of the Sierras from a unique perspective. 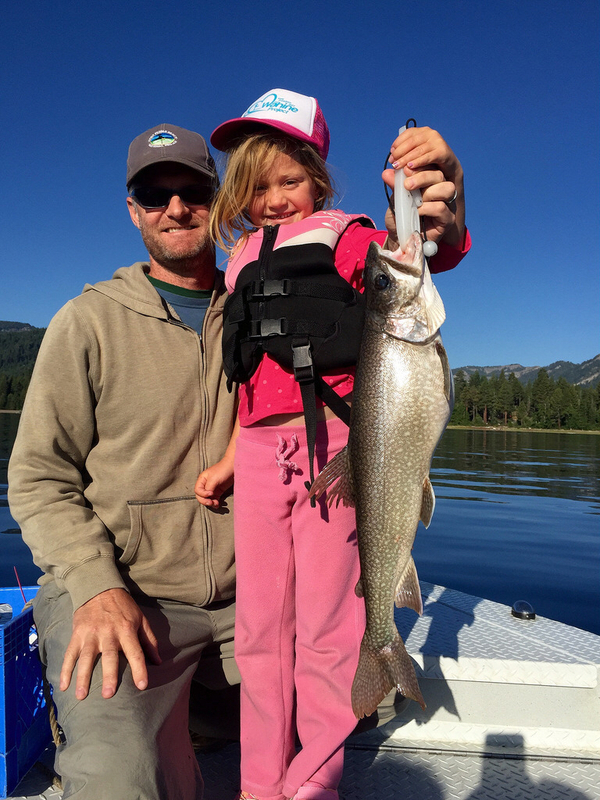 After fishing, Tahoe has an endless array of outdoor activities for the whole family. You can also ask us about afternoon Emerald Bay tours. Your full-day fishing trip, unless otherwise specified, will begin just before dawn (exact times depend on time of year, weather, etc). Once on the water, we will give a brief seminar on the day’s techniques and then fishing begins! 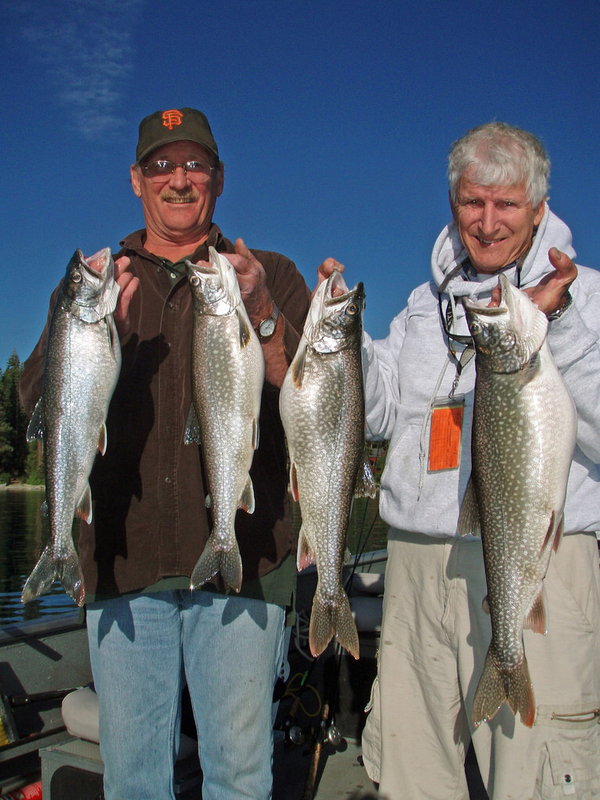 Lake Tahoe fishes well year-round. In the summer, we mostly target mackinaw and Kokanee salmon. 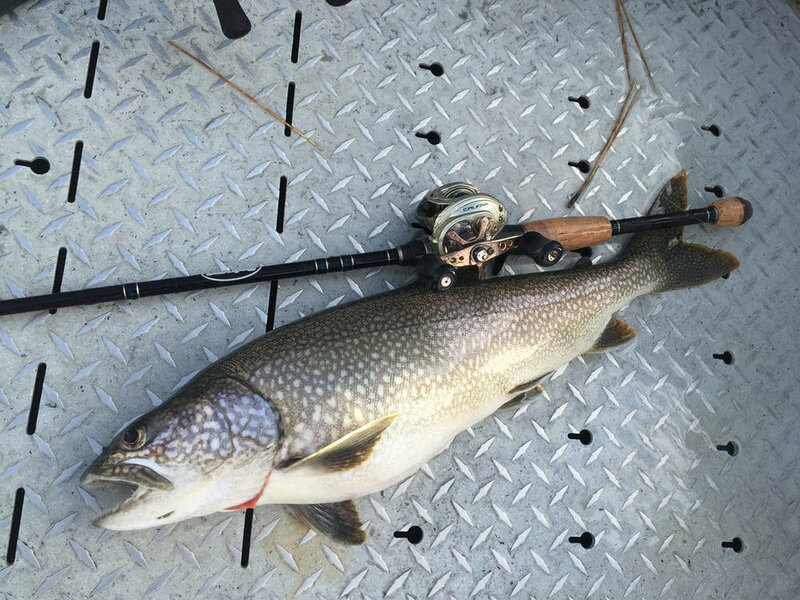 The fall winter and spring months are prime for rainbows browns and mackinaw. Fishing trips begin at dawn and run 5 hours, dock to dock. All tackle and fishing gear and fish cleaning is provided. Come up to the mountains and fish! !